This recipe is for the basic version. Contribute add-ins, as desired. 1. 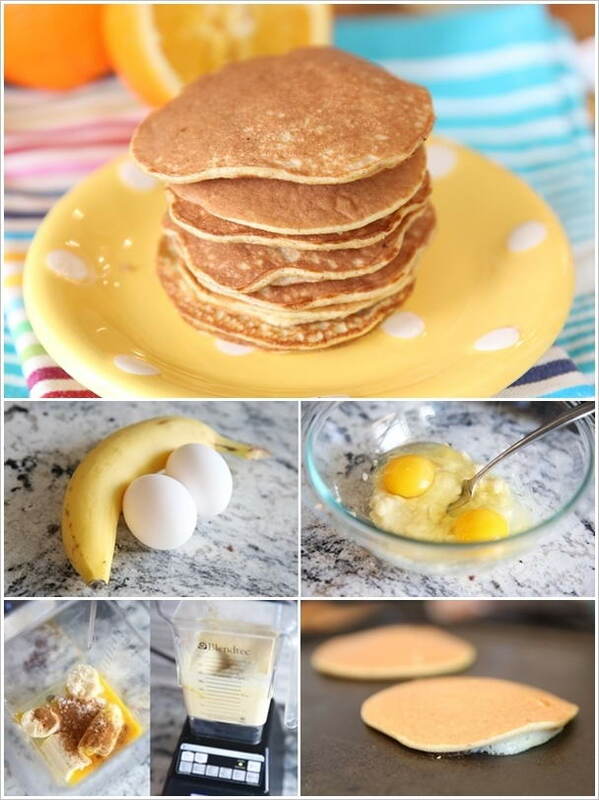 Mix banana and egg in a medium bowl. Heat a skillet to medium, and spray with nonstick spray. Scoop about 1/4 cup of the batter onto the skillet. Cook until edges are dry- the pancake will be thin. Flip and cook the other side briefly. Repeat with the remaining batter. You should be able to get 4 or 5 thin pancakes.